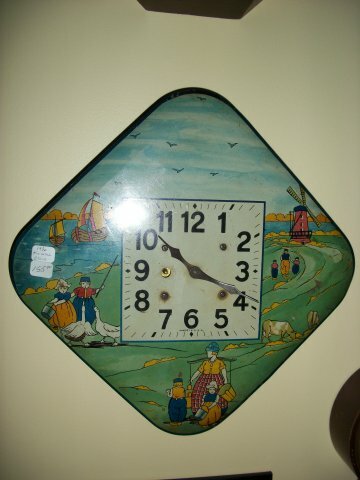 This is a tin plate clock with lithograph like paintings 0n it. It has an 8 day balance wheel time only movement. 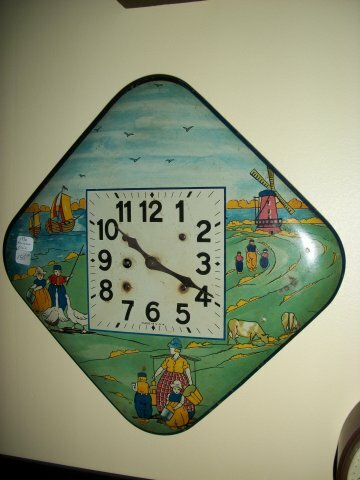 Another view of the clock.